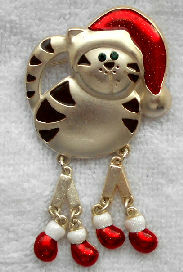 Here is a Santa cat pin. The legs move back and forth as if he was dancing. The pin is 1 5/8" wide x 1 3/4" high. The legs are 1 1/4" long. 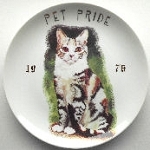 Previously owned but in good condition.